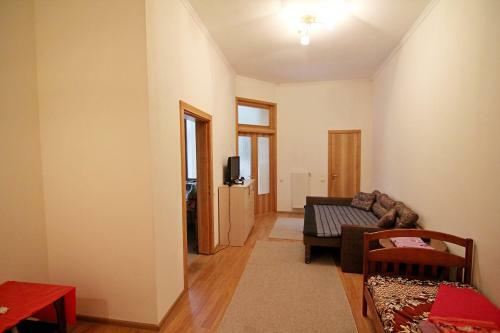 Apartments on Veteraniv Street 3 is conveniently located at Veteraniv Street 3 in Lviv in 1.4 km from the centre. 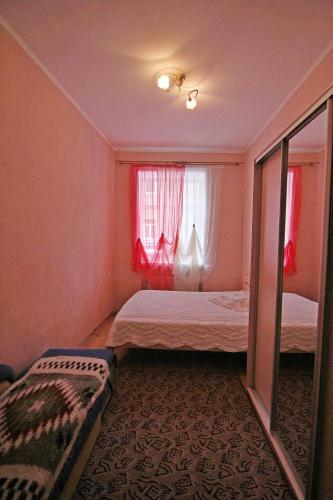 The apartment is within walking distance of many locations as The Armenian Cathedral, The Palace of Armenian Archbishops, The Ivan Franko National University of Lviv. 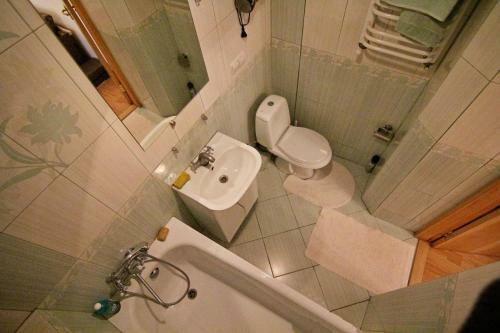 The most proximate Lviv International Airport is disposed in 6.2 km from the apartment. 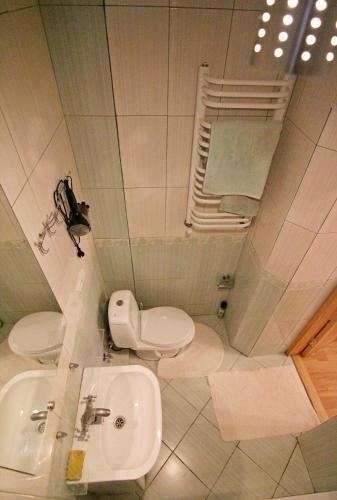 Tourists can use a range of amenities: it’s possible to settle with pets, nice terrace, internet services, car lot. Payment types: Visa, Mastercard. 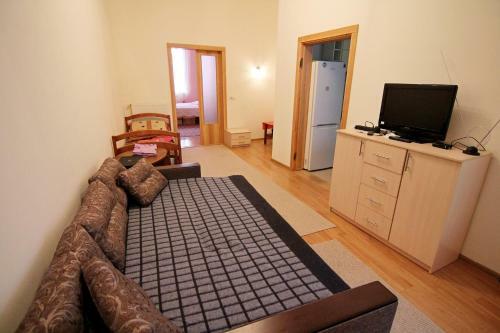 For tourists, comfortable accommodation is offered only one room type - apartment. 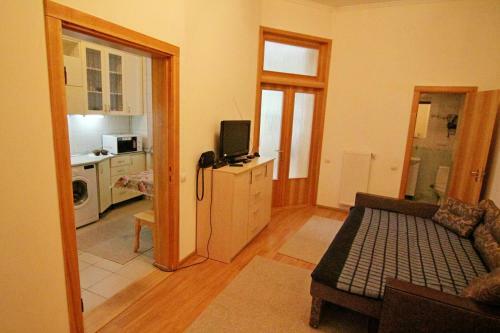 For guests are provided facilities such as hairdryer, refrigerator, ironing facilities, free toiletries, microwave, washing machine, extra long beds (> 2 metres). 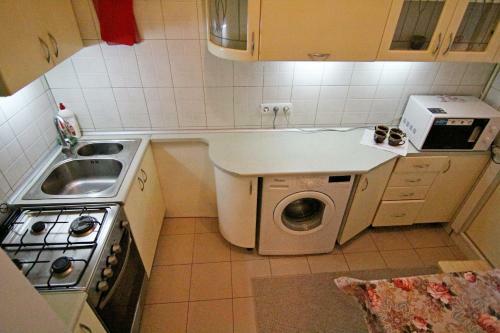 This apartment has a stovetop, soundproofing and electric kettle. Children and Extra Bed Policy All children are welcome. Up to two children under 16 years are charged UAH 100 per night when using existing beds. 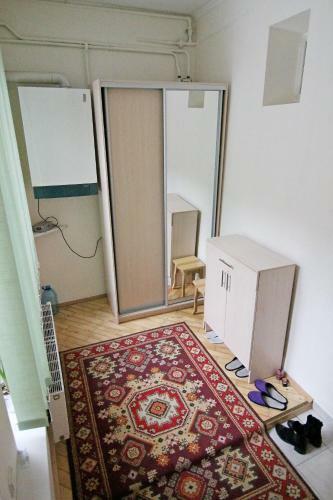 All children under 16 years are charged UAH 100 per night for extra beds. 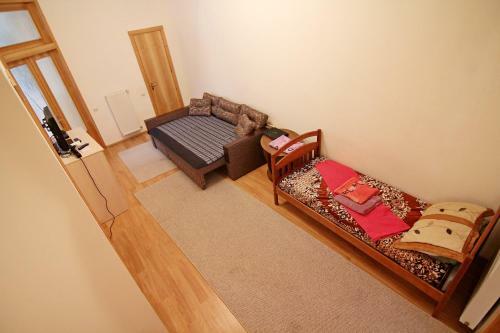 All further older children or adults are charged UAH 300 per night for extra beds. 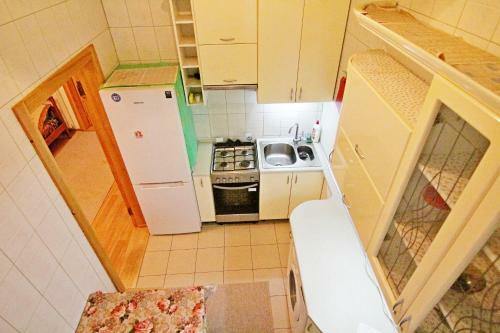 The maximum number of extra beds in a room is 2. Please inform Apartments on Veteraniv Street 3 in advance of your expected arrival time. You can use the Special Requests box when booking, or contact the property directly with the contact details provided in your confirmation.